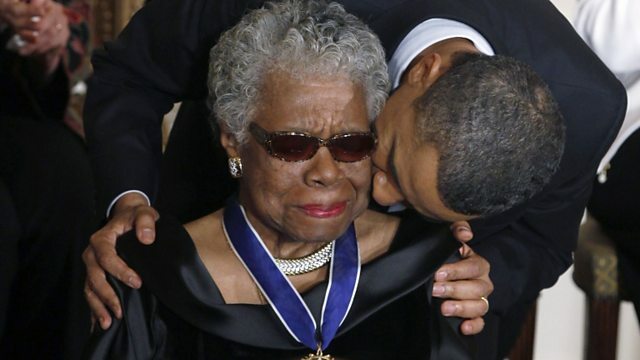 The American writer, civil rights activist and academic, Maya Angelou, has died at the age of eighty-six. She once told Martin Luther King she thought she’d be dead before a black president was elected – but she was proven wrong when Barack Obama won the vote in 2008. She spoke to the programme the day after – you’ll also hear one of her poems “And Still I Rise”, sung by Ben Harper.